The Chevy Corvette is one fast car! Decals and stripes for this model can be found below, and you'll find a wide variety of Chevrolet Corvette vinyl graphics for the model years indicated. 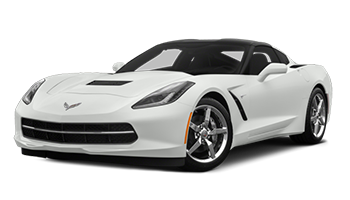 Get 2014 2015 2016 2017 2018 and 2019 Chevy Corvette Vinyl Graphics, Chevy Corvette Decals and Chevy Corvette Stripes, Chevy Corvette Racing Stripes today at MoProAuto! Buy Chevrolet Corvette Racing Stripes, Corvette Fender Decals, and Corvette Hood Decals Kits. Featured here you will find the Corvette DOUBLE BAR : Chevy Corvette Vinyl Graphics Decals Stripes Kit, the Chevy Corvette : Center Racing Vinyl Striping Kit, the Chevy Corvette : Dual Bar Racing Vinyl Striping Kit, the Chevy Corvette : Dual Pinline Racing Vinyl Striping Kit, the Chevy Corvette : Racer Vinyl Striping Kit, the Chevy Corvette : Split Wing Vinyl Striping Kit, the Chevy Corvette : Venom Racing Stripes Kit, and so much more! Now you can choose one of these popular vinyl racing decal styles today!